The last months have been a time of transition and change. Our base was set in a small village called Pie Monte. For some time we have felt led by the Lord to move our base to the small city of Choró, and did so in June. We spent the last few months in Pie Monte focusing on discipleship and preparing our church for our departure. 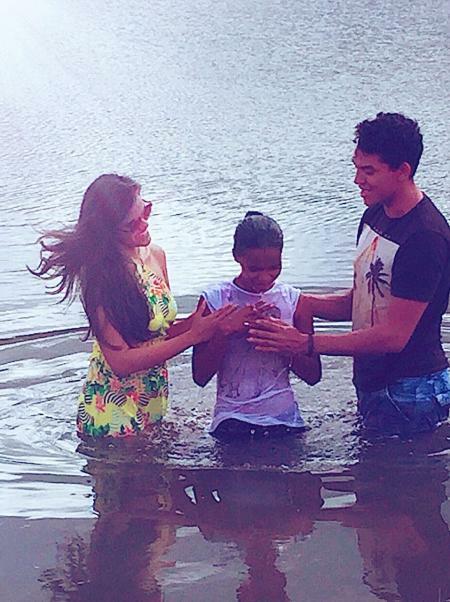 We had the blessing of baptizing a few young people from our church; it was a very special and powerful moment. The youth in our church are growing in the Lord and taking on more responsibility. For those of you who read my last update, you will remember that I mentioned a village called ‘Cafundó’, which means ‘forsaken place’. 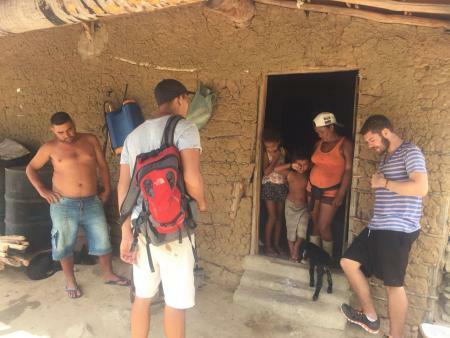 We had a chance to return to that village with a team of students from the mission’s school in Fortaleza, and we saw God do some amazing things. We saw two people give their lives to the Lord, and food was also multiplied! We had just enough bread for each person to have two breads during the time we were in the village. Everyone ate their two breads, many ate an extra, and some ate two extra! Even so, there was bread left over both the first and the second day (both days many people ate 3 or even 4 breads). I also had the opportunity to help out with Harvest School 2 in Pemba this June. Harvest School 2 is an intensive mission training school focused on equipping leaders who already know that they are called to dark and difficult places. The school consisted of 14 students, aside from staff. It was a blessing to be able to share with students who were so hungry to learn. As mentioned, we moved our base this June to the small city of Choró. We felt God saying that the city of Choró is a strategic location from which to reach this region. We have started visiting new villages and doing evangelism in these places that still do not have a church. We believe that God will lead us to those who are hungry and thirsty for him. One main area we are focusing on is discipleship of the youth in this city, as well as the village where our church is located. 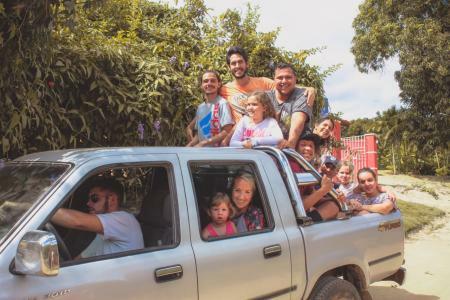 Every weekend we go to the interior (countryside) to pick up the youth from our church and have a time of studying God’s word, evangelism, and a fun activity. We are encouraged to see these youth grow in their relationship with the Lord and to start to dream about the future. Last month we also took a few of the youth to participate in a mission’s camp organized by Iris Fortaleza in a nearby town. The mission’s camp was a three-day camp focused on training and teaching youth who have an interest in full-time missions.